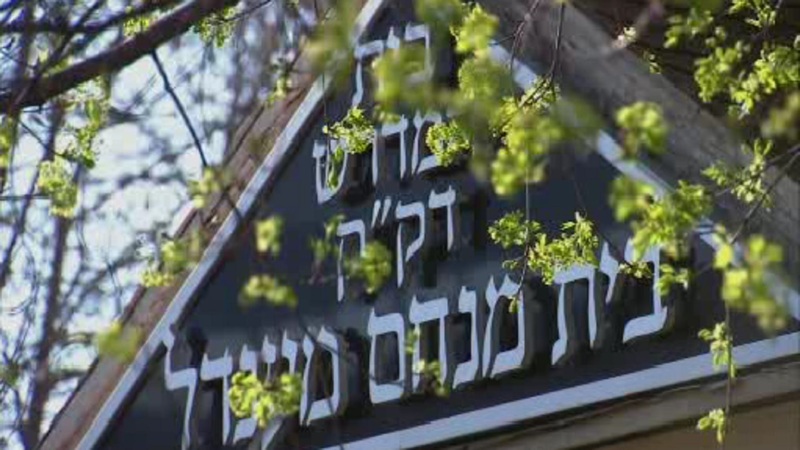 MIDWOOD, Brooklyn (WABC) -- A 16-year-old has been arrested in the robbing and beating of the caretaker at a Brooklyn synagogue over the weekend. Dieuverson Caille was charged with burglary, grand larceny, criminal possession of a weapon and criminal possession of stolen property in connection with the Sunday afternoon break-in and assault. Caille was picked out of a lineup by the 53-year-old victim, who was beaten about his face and head with a rotary cultivator garden tool after the suspect allegedly used a ladder to break into a room above the Chabad Synagogue Beth Menachem Mendel on Avenue J in Midwood. Police say he forced the victim to open the door to the synagogue, where he stole a laptop, cellphone and the victim's wallet with approximately $300 and credit cards. He also stole donations that were meant to be given to charity. The suspect was caught after allegedly using the victim's credit card at multiple stores. A second suspect is still being sought.